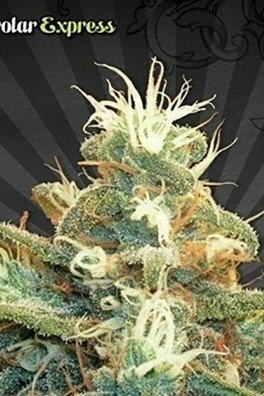 In Candy Kush, Auto Seeds united some of the finest Kush genetics from California with their Auto Pounder. With a height of 50cm-60cm, this surely isn't the biggest plant, but knows how to pump energy into the production of flowers. This autoflowering variety rewards a skillful grower with up to 400g/m² of highly potent weed. In Candy Kush, Auto Seeds united some of the finest Kush genetics from California with their Auto Pounder. By doing this they created an easy to grow bushy plant with a dense appearance and short life span - and yet the yield is nothing to sneeze at. Besides, the high mold and pest resistance makes it a great strain for noobs. With a height of 50cm-60cm, Candy Kush surely isn't the one to jump up and yell, hey, I am the biggest, but this plant knows how to channel energy into the most crucial part of life - reproduction. 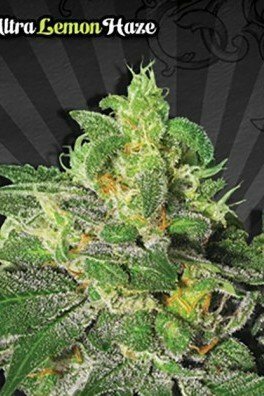 When it comes to female cannabis plants, this means the development of as many flowers as possible and Candy Kush Automatic is really keen on procreation - and she wants it fast. Only 65 days after germination, Candy Kush Automatic reaches its maturity and rewards a skillful grower with up to 400g/m². The taste of this weed is dominated by the aromas of spice and burnt caramel. When it comes to the potency, Candy Kush Automatic takes no prisoners - she simply knocks you out! With its high THC and CBD content, she grabs hold of both the body and mind, causing a sweet inebriation and relaxation - but a few puffs too many and the effect becomes more and more narcotic, making Candy Kush Automatic a potential remedy for insomnia.